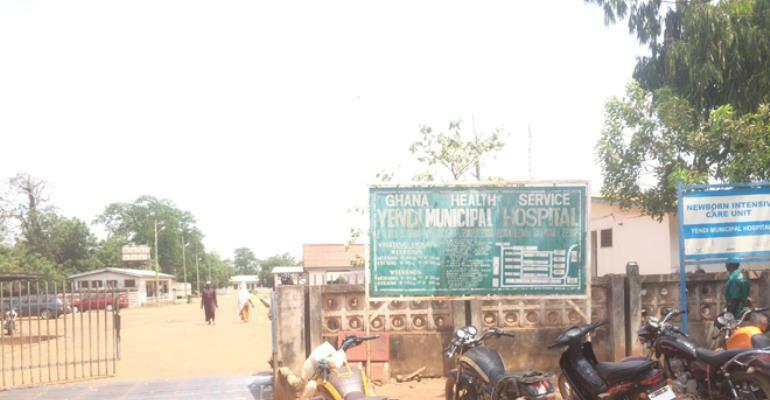 Efforts at ensuring adequate water supply to the Komfo Anokye Teaching Hospital (KATH) has received a huge boost with the installation of two tanks, fitted with auto-sensitive booster pumps. The two tanks have the capacity to hold 30,000 litres of water and it would serve the hospital’s main theatre and the family planning and reproductive health centre. The project was funded by Guinness Ghana Breweries Limited (GGBL) under its “Water of Life” project in partnership with Water in Africa Through Everyday Responsiveness (WATER), an international NGO. The Chief Executive of the referral facility, Dr. Joseph Akpaloo, speaking at a ceremony to inaugurate the project, applauded the company and the NGO for the support. Apart from the water tanks, they had connected the six existing boreholes at the hospital and fixed these with a mechanized pump. Added to this, is the construction of washrooms at the Ear, Nose and Throat (ENT) and a 5-unit urinal for patients. Dr. Akpaloo said the intervention had helped to assure the facility of uninterrupted flow of water – ending frequent interruptions, which was a major challenge to quality health care delivery. The occasion coincided with the start of construction work on an underground water tank and the sinking of additional boreholes. He singled out for praise Dr. Ernest Kwarko, a Consultant Obstetric and Gynaecologist, for the role he played to get the project done. He spoke of the readiness of the hospital to enter into long-term partnership with GGBL and WATER to improve the quality of care. Managing Director of GGBL, Francis Osemwegie Agbonlahor, said the provision of the facilities was his company’s contribution to healthcare promotion in the country. The chief of Nkwantakese, Nana Boakye Yam Ababio, who represented the Asantehene, Otumfuo Osei Tutu II, commended GGBL for helping to save lives. 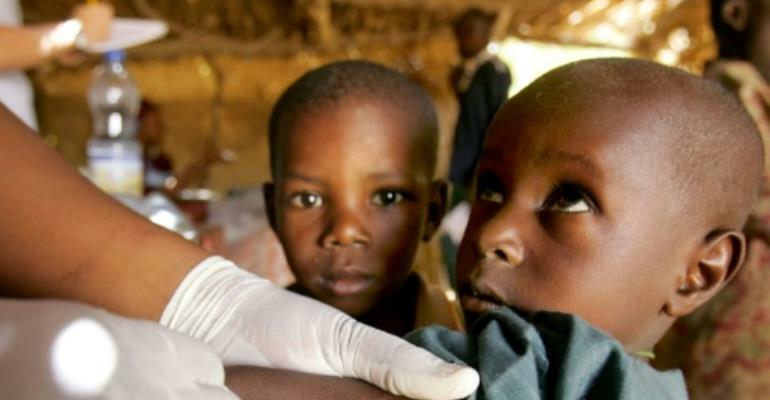 Abuja (AFP) – Nearly 270 people, most of them children, have died in the past five months during the latest meningitis outbreak to hit Nigeria, public health officials said Wednesday. 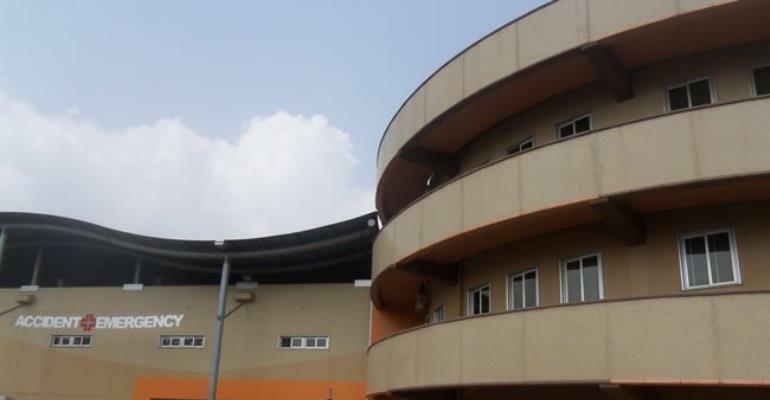 “Presently we have 1,828 suspected cases… and we have 269 deaths in about 15 states,” Olubunmi Ojo of the National Centre for Disease Control told local television. At least five northern states — Sokoto, Zamfara, Katsina, Kebbi, Niger — and the Federal Capital Territory have been hit hard and have crossed the threshold for an epidemic, she added. Nasir Sani-Gwarzo, director of disease control at the federal ministry of health in Abuja, said those six states accounted for 1,090 infected people and 154 deaths. “Zamfara State alone recorded 590 cases, out of which 29 people have died,” he told AFP. Laboratory tests have confirmed that the disease was of a new Type C strain, he added. The World Health Organization said on March 24 that children aged five to 14 were the most affected age group in this latest epidemic, accounting for about half of all reported cases. A large-scale vaccination programme had begun, it added. Nigeria lies in the so-called “meningitis belt” of sub-Saharan Africa, stretching from Senegal in the west to Ethiopia in the east, where outbreaks of the disease are a regular occurence. The country and neighbouring Niger were both badly hit by meningitis outbreaks in 2015, when over 13,700 people were infected in six months, with more than 1,100 deaths. Meningitis is caused by different types of bacteria, six of which can cause epidemics. It is transmitted between people through coughs and sneezes, and facilitated by cramped living conditions and close contact. The illness causes acute inflammation of the outer layers of the brain and spinal cord, with the most common symptoms being fever, headache and neck stiffness. Accra, March. 9, GNA – Low fruit and vegetable consumption is among the top 10 selected risk factors for global mortality. Dr Abebe Haile-Gabriel, FAO Representative to Ghana, speaking at the 2017 Promotion of Fruit and Vegetables for Health (PROVAF) workshop said for Ghana, low fruit and vegetable consumption prevalence ranges from 36.6 per cent for men and 38.0 per cent for women. Dr Abebe said improved access to vegetables and fruits in diets reduces mortality and morbidity of infants and children under five years old, particularly in rural areas. An estimated 5.2 million people die worldwide due to inadequate fruit and vegetable intake while insufficient intake of fruit and vegetables is estimated to cause around 14 per cent of gastrointestinal cancer deaths, about 11 per cent of heart disease deaths and about 9 per cent of stroke deaths. The workshop was to create awareness about the FAO-WHO joint initiative on fruits and vegetable for health project and also map existing politics and current programmes and activities for the promotion of fruits and vegetables in Ghana. It was also to present the findings of the survey and nutritional composition analysis done in four eco-zones in Ghana and to identify bottlenecks and opportunities for improving fruit and vegetable production and consumption at the National level. He said Fruit and vegetable production provided a means of livelihood and employment generation for many Ghanaians and their families, and played an important role in the improvement of health. ‘Overall, per capita consumption of vegetables and fruit falls far short of the daily recommended level of 400 grams,’ he added. Dr Abebe said the prioritization of vegetables in the recently launched ‘Planting for Food and jobs campaign’ by Government was laudable. Dr Owusu Afriyie Akoto, the Minister for Food and Agriculture, said the fruit and vegetable sector was important for the vitality of the Ghanaian economy. ‘Besides creating jobs on the farm, the horticultural sector also generates off-farm employment, especially for women,’ he added. He said aside the financial benefits of horticultural production, increasing women’s access to vegetables and fruits for themselves and their families would improve their health and work performance, thereby contributing to higher incomes. 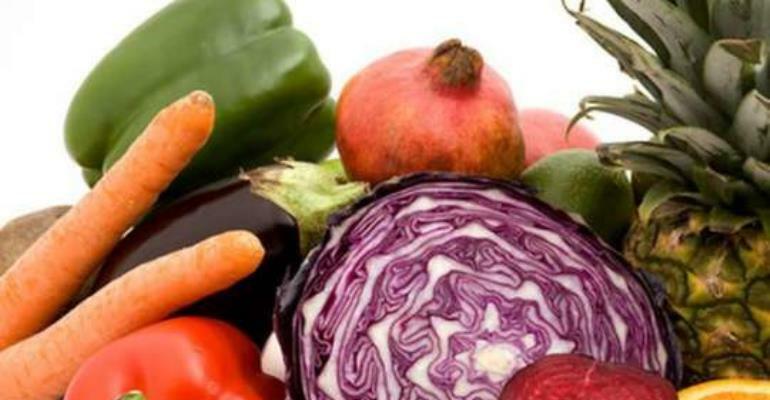 Madam Makiko Taguichi, An Agriculture Officer, FAO Office in Rome said Fruits and vegetables were excellent sources of essential vitamins and minerals, fibre and vegetable protein. She said a new challenge in diet- relating non-communicable diseases were heart disease, stroke, cancer, diabetes were no longer limited to affluent countries. ’80 per cent of premature deaths occur in middle and low income countries,’ she added. She said there was the need to increase public awareness about importance of fruit and vegetable consumption in healthy diets. She said the risk of fruit and vegetable consumption actually dropping in quantity and diversity was real and needs to be understood and addressed. Dr Francis Appiah, Lecturer at Kwame Nkrumah University of Science and Technology said public-private partnership was an important mechanism in the promotion of the production and utilization of fruit and vegetable. He said lack of accessible land, ready market, inadequate capital and credit, high cost of inputs and pest and diseases were some of the constraints to vegetable production. The outbreak and resurgence of epidemic diseases in the West African Region are the consequences of a weak health system and fragile mechanisms for disease surveillance and prevention. In addition, there is inadequate infrastructure, limited skilled human resources and capacity of laboratory services. Given this background, the 47th Conference of the Heads of State of Economic Organisation of West African States (ECOWAS) has mandated the West African Health Organization (WAHO) to establish a regional structure for epidemic prevention and control body called “ECOWAS’ Regional Centre for Disease Surveillance and Control (ECOWAS-RCDSC)”. The ECOWAS-RCDSC components include surveillance and early warning, laboratory capacity building, work force, training and research. In order to ensure greater co-operation among ECOWAS member countries, (WAHO) and Connecting Organization for Regional Disease Surveillance (CORDS) are hosting a three days workshop on the Integrated Regional Platform for Collection and Sharing of Health Information and to Build the Capacity of ECOWAS member countries, from the 1st to the 3rd of March 2017 at the Movenpick Hotel, Accra. The highlight of this event will be the formal launch of the West African Network for Infectious Diseases Surveillance (WANIDS) on Friday 3rd March 2017. The West African Network for Infectious Disease Surveillance (WANIDS), an initiative of WAHO is a network of the 15 ECOWAS countries with a mission to foster cooperation between the countries to enable early detection and control of infectious diseases. WANIDS will operate within the newly ECOWAS-RCDSC. Its development has been achieved in partnership between WAHO and CORDS through a special support of the Rockefeller Foundation and Skoll Global Threats Fund. The event which is expected to bring together ECOWAS country stakeholders, WAHO, CORDS and others international partners including the World Health Organisation (WHO), World Bank, Chatham House, Skoll Global Threats Fund, Rockefeller Foundation. The workshop aims to strengthen the ability for member countries of ECOWAS to work together towards building their capacity in health information collection and sharing for early infectious disease detection, response and control in order to mitigate the impact of public health emergencies on populations. WAHO with the support of its international partners, is committed to building effective cooperation between West African states to enable early detection and control of infectious disease-related threats. This implies a multi-sectorial “One Health“ approach (human, animal and environmental health), in compliance with WHO International Health Regulations (IHR 2005) and the Global Health Security Agenda (GHSA) by enabling knowledge sharing on key issues and challenges that can mitigate against the effective implementation of regional effort to stem epidemics in the region. To mark the opening of the forum, a high level ceremony will be addressed by The World Bank representative (Mr. John-Paul Clark), the Executive Director of CORDS (Dr Christophe Longuet), the representative of Skoll Global Threats Fund (Dr Jennifer Olsen), the representative of Chatham House (Dr David Harper), the Deputy Director General of WAHO (Dr. Laurent Assogba) and Ghana’s Minister of Health, Hon. Kwaku Agyeman-Manu who is expected to formally open the workshop. Dr Laurent Assogba, Deputy Director of WAHO, on behalf of the President of ECOWAS and the General Director of WAHO, said “we are excited to be convening this workshop for international public health experts, institutional partners and key stakeholders to share ideas, expertise and best practices while working on developing common initiatives to ensure West African countries are in a better position to deal with major disease outbreaks such as Ebola as and when they occur”. President Nana Addo Dankwa Akufo-Addo has requested the Cuban government to revive the construction of the biolarvicide factory that stalled in 2009 to help Ghana’s fight against malaria. The project, abandoned after the exit of the New Patriotic Party government in 2009, was an initiative started by former President Kufuor, who sought the assistance of Cuba for the construction of the facility for the manufacture of a biolarvicide, an insecticide that kills the mosquito larvae – newly hatched mosquitoes. The factory was also to produce bio-fertilizer to boost agricultural productivity and create jobs. President Akufo-Addo made the request for the revival of the project in partnership with the Cuban government, when the Cuban Ambassador to Ghana, Pedro Luis González Despaign, called on him at the Flagstaff House to congratulate him, on behalf of Cuban President Raúl Castro, on his election to the high office of President of the Republic. He pushed for the support and technical assistance of Cuba to revive for the construction of the biolarvicide factory in Ghana, to combat the disease which is responsible for the death of thousands of people every year, mainly children under five years of age and pregnant women. In many parts of the world where malaria has been completely eradicated, even before the development of effective medication, one of the key strategies adopted was effective vector control. Mr. Gonzalez Despaign in his remarks to President Akufo-Addo, indicated the willingness of the Cuban government to assist Ghana in this endeavour, as well as co-operate further in the areas of biopharmaceuticals, education, culture and tourism, construction, and sports. With Ghana being the first country in Africa to establish diplomatic relations with Cuba, Ambassador Despaign indicated that the two countries would continue to share a special relationship, stressing that a high level delegation from Cuba would be present at the 60th Independence Day celebration, in this regard. Touching on the co-operation between Ghana and Cuba in the field of medicine, he noted that a total of 239 Ghanaian students are currently studying in medicine in Cuba. In addition to this, hundreds of Cuban doctors are currently in the country, as part of the Cuban medical brigade. However, the Cuban Ambassador noted that Ghana’s outstanding indebtedness in the afore-mentioned areas total $4,732,700. Virtually the entire debt, he said, was incurred over the last eight years, and urged government’s prompt action in defraying this debt. Ambassador Despaign also indicated that Cuba was counting on the support of Ghana to help to lift the commercial, economic, and financial embargo imposed by the United States of America on Cuba. President Akufo-Addo, on his part thanked the Cuban Ambassador for the courtesy callnand assured him of the strengthening of Ghana’s relations with Cuba during the tenure of his office. He assured Ambassador Despaign of his government’s prompt action in Ghana’s indebtedness to Cuba in the area of medical co-operation between the two countries. President Akufo-Addo reassured the Cuban Ambassador of Ghana’s continued advocacy in helping to end the blockade against the Caribbean Island. In a 2015 monograph issued by the International Agency for Research on Cancer (IARC), a body of the World health Organization, the former concluded on basis of scientific evidence, that “Glyphosate is probably carcinogenic to humans.” This means that this popular organophosphate compound, which is found in most agro-chemicals including the popular local brand Edwuma Wura, causes cancer. Glyphosate is the most widely used herbicide globally, with a production of 620,000 tons in 2008, according to paper published in Elsevier journal by Norwegian researchers, Bohn et al. (2014). 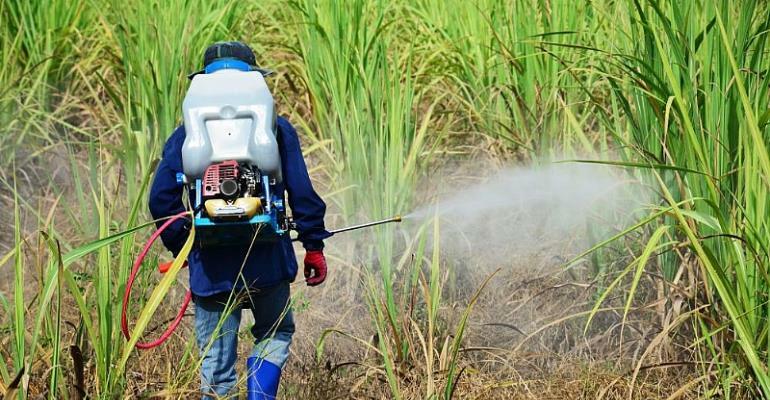 In 2015, Sri Lanka followed El Salvador’s 2013 decision to ban Glyphosate after scientific studies showed that it (glyphosate) was the cause of increased incidence of Chronic Kidney Disease (CKD) which inflicted 15% of the working population in the northern part of the country. The human health and environmental impact of Glyphosate has been a subject of intense controversy within the international scientific community. For instance the European Food Safety Authority (EFSA) strongly contested the conclusions of IARC on grounds that the data was inconclusive. Recent studies in 2015 by Robin Mesnage (a molecular biologist and geneticist at King’s College London) and his colleagues, concluded that “chronic exposure to a Glyphosate-based Herbicides (GBH) in an established laboratory animal toxicity model system at an ultra-low, environmental dose can result in liver and kidney damage with potential significant health implications for animal and human populations.” Other researchers, employing different investigative methods have reached similar conclusions (e.g. see Olorunsogo, Bababunmi & Bassir, 1979; Larsen, Najle, Lifschitz & Virkel, 2012). From an environmental perspective […] Click to download full brief here. In a snap-check survey conducted by Rural Heights Foundation, agro-chemical dealers were selected randomly from Pinanko in Gomoa West, Kantamanto in Accra and Swedru in Agona, to screen their inventory mix for Glyphosate. All retailers reviewed sold some brand of herbicide with Glyphosate compound. There is additional observational data from Pinanko, Darumpong and Osedze in the Gomoa West district to suggest the popular use of Sunphosate and Nwura Wura (all containing Glyphosate), during land clearance and preparation stages of the production phase. According some farmers spoken to by Rural Heights Foundation, the weedicide is a “life-saver” because labor cost for land clearance could amount to GH¢100 per pole (acre). This cost is prohibitive to many smallholder farmers compared to the shelf price of a powerful weedicide such as Glyphosate that may cost as low as […] Click to download full brief here. High Incidence of Chronic Kidney Disease in Ghana: Coincidence? In March 2014, Ghana News Agency reported statements by Dr. Yaw Asante Awuku, the physician specialist at Cape Coast Teaching Hospital Dialysis Centre, indicating that one (1) out of every ten (10) patients are diagnosed with kidney disease. Few studies (Osafo et al., 2011; Ephraim et al., 2015) have drawn correlation between diabetes and hypotension and Chronic Kidney Disease (CKD) among high risk populations in Ghana, so there is little scientific grounds to […] Click to download full brief here. On January 10, 2017 […] policy implications, key recommendations and source citations, download full brief for FREE. Seven people in Lamu have been hospitalised in a suspected outbreak of cholera. The patients from Pandanguo village in Witu showed cholera-like symptoms. County executive for Health Mohamed Kombo said the seven were admitted at the Pandanguo Dispensary and Witu Hospital after complaining of stomach pains, diarrhoea and vomiting. According to Dr Kombo, the drought ravaging many parts of Lamu County has left people and animals to depend on one water source. Dr Kombo said the victims might have drunk contaminated water. He said a team from the health department had been dispatched to monitor the situation. Dr Kombo said his office is working around the clock to ensure the disease does not spread to other villages. “We are worried the situation might spread to villages affected by drought, but we are on it,” said Dr Kombo. Those infected include adults and children. Their blood and stool samples have been sent to experts in Mombasa for further examination. Adan Golja, a village elder, called for immediate intervention to control the outbreak. Pandanguo village, home to the Boni minority community, is among villages hit hardest by the ongoing drought. Last year, two people died from cholera, among them a five-year old child and an adult in Kipini, on the border of Lamu and Tana River counties. Some 13 others were referred to the Witu Dispensary after exhibiting cholera symptoms, which were also suspected to have been caused by contaminated water. First Lady, Rebecca Akufo-Addo has launched two initiatives which are intended to be a platform for encouraging active private sector participation in efforts at eradicating incidents of Malaria in Ghana. The Private Sector Malaria Prevention Project and Malaria Safe Initiative which is spearheaded by Johns Hopkins University Center for Communication Programs together with Ghana National Malaria Control Programs. It is targeted at getting businesses in Ghana to make their working environment Malaria safe, their workers Malaria safe, and supporting communities in Ghana to be Malaria safe through creating awareness and championing Malaria free campaigns within their institutions and Ghana as a whole. During the launch, the First Lady expressed her delight at such an initiative noting that ” the fight against Malaria is not only a passion for me but a responsibility I bear, not only as a mother but as a true citizen who cares for the health of all our people”. She noted that Malaria as a disease has devastating consequences especially on pregnant women and children as well as the socio-economic developments of Ghana as a nation. The First Lady further observed that besides these negative effects on the general population, Malaria is also bad for business. She indicated that a report by National Malaria Control Program shows Ghana lost about US$ 6.58 million to malaria in 2014 through employee absenteeism, increased health care spending, and decreased productivity. The companies involved in this survey spent an average of 0.5% of their annual corporate returns on Malaria treatment alone. At the launch were representatives from companies including Volta River Estates, Ghana Rubber Estates, Blue Skies, Plot Enterprise, Wilmer Africa as well as The UK High Commissioner, Jon Benjamin. Also in attendcance were Country Director of Johns Hopkins University Center for Communications Programs, Emmanuel Fiagbe, Manager of Ghana National Malaria Control Program, Constance Bant Plange, and Ghana’s Special Malaria Ambassador, Prince Kofi Amoabeng. Dar es Salaam — It is without doubt that cholera is still a threatening epidemic in Tanzania. When Health, Community Development, Gender and Elderly minister Ummy Mwalimu warned of possible cholera and related waterborne disease outbreaks across the country in December last year, it raised concerns about the country’s capability to eradicate it. She said 458 cholera cases and six deaths were reported in November last year in six regions: Morogoro (282 cases), (Dodoma 96), Mara (31 cases), Kigoma (30 cases), Arusha (11 cases) and Dar es Salaam (eight cases). 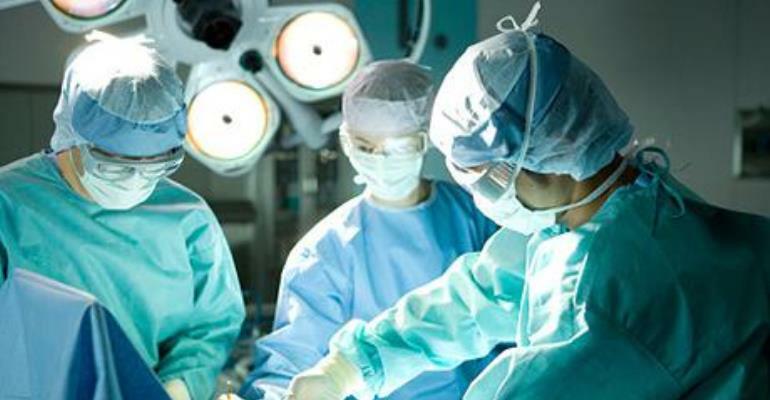 According to a report released at the end of last year by the Health ministry’s spokesperson, Mr Nsachris Mwamwaja, 26 cases were reported in five regions, including Dar es Salaam, Dodoma, Singida, Morogoro and Katavi. During cholera outbreaks immediate and long-term measures are taken to contain it by both saving lives and preventing further disease transmission. Preventive measures include raising public awareness on food, neighbourhood and personal hygiene, training community volunteers and health service providers on mitigation methods. Unfortunately, it always comes back to business as usual with cholera survivors after recovery to live in almost the same unhygienic conditions that caused the disease. The most cholera-affected areas are those with poor sanitation, near dumps and poor toilet facilities. A few days ago this reporter visited Mfaume Street in Upanga, Dar es Salaam, and discovered that there was a broken sewerage system that had not been repaired for over three years. This situation causes overflow of waste that in the end flows to the neighbourhoods. There are also cracked water pipes near the area, so the combination of water from the pipes and waste from toilet chambers has been a nuisance to residents. This reporter recently interviewed one resident called Mama Tiffu, who wondered how a place like Upanga would have a broken sewerage system for three years without the authorities being aware of it in the same way it would be on the outskirts of the city. “This is sad because there’s no way we can avoid epidemics if our area is surrounded with heaps of waste all the time,” she explained. Generally, the sewage system around the city is inadequate and most of the time out of order, which is a potent contributing factor to the cholera epidemic. The drainage system is also unreliable. Food and fruit vendors also contribute to the spread of the disease due to their poor handling of their businesses from preparatory to selling stages. Furthermore, the majority of people are not aware of spotting infected neighbours to help those, who have developed cholera symptoms without containing the disease. Cholera is said to be an acute diarrheal disease that can kill within few hours if left untreated. According to the World Health Organisation Report of October last year, it is estimated that each year there are 1.3 to 4 million cases of cholera and 21,000 to 143,000 deaths worldwide due to cholera. Most of those infected will have no or with mild symptoms and can be successfully treated with an oral rehydration solution. Severe cases will need more treatment with intravenous fluids and antibiotics. The sensitive part of the epidemic lies in water and sanitation and if economic development and universal access to safe drinking water and adequate sanitation is achieved cholera will be a myth. According to Dar es Salaam City Council Director Siporah Liana, her office is in a process to buy two areas that will be developed as dumps to deal with the waste problem in the city. She identified those areas as Vikindu (in Mkuranga) and Kigamboni (in Dar es Salaam). Besides this, she explained that the project to recycle waste aimed at eliminating household and industrial waste. “We have one dump in Pugu and it’s time we put in place workable strategies that will keep our city clean. The project will be ready by July this year,” she explained. She also talked about plans to raise public awareness on food and fruits sold in the streets and how risky to health they were if not hygienically prepared. “We have always told food vendors, who sell their commodities beside roads to make sure they use tables or stalls to reduce the disease risk. We are trying hard to address the issue of hygiene,” she elaborated.